Fairly rich gold in colour, hints of orangey rust. 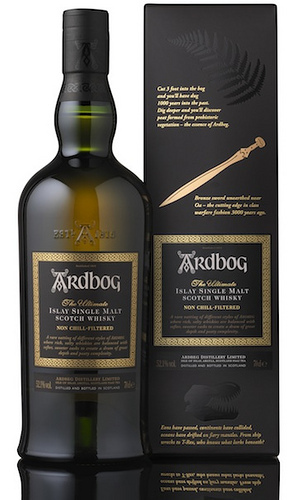 Refined peat nose, almost subtle for an Ardbeg, sweetness, with a pinch of salt too, and a fair amount of autumn fruits mixed excellently with the more classic Ardbeg notes; there’s also a fudgy creamy quality that lures you in to want a sip. On the palate it’s gently warming, with some spices there, but not too abundant, however the longer you keep this on your tongue the more spices come through. Its medium to thick oils give a great mouthfeel. There’s the standard Ardbeg notes in there for sure, smoke more than peat to start with, but they’re all tempered by a rich, slightly salty fruity zestiness. The finish is long, showing off a little bit more of that saltiness (but not too much, the sweetness wins out easily) whilst being really gentle and warming on your chest. Given the high ABV this really doesn’t need any water, it’s very smooth as it is. If you do add a drop however it helps open up the creamy fruity aromas even further, possibly making the nose even more enjoyable. With water, on the palate it opens up the malt allowing it to shine through a little better whilst masking the peat just a touch. For me a lovely mid-evening dram this to sit on the side of a cliff with your feet up watching the sun slowly sink into the sea, it’s relaxing and extremely pleasant. Around the mid 90’s in score, really very high. Is it worth the price tag? I actually think it is. Yes I know you could probably pick up a great independent bottling, probably older, for less… but actually in the case of this it benefits having Ardbeg’s stocks behind it to blend together a fabulous dram. Yes it’s kind of expensive, but isn’t everything at the moment? (It’s not the most expensive Feis bottle that’s for sure.) It’s not going to get cheaper, and it’s already sold out online. The nose jumps out with peat straight away, clean, fresh peat on a windy day… the high ABV can burn just a touch, mentholly / minty, light summer fruits. Given plenty of time it calms down a little and opens up into a slightly sweeter dram. On the palate this is slightly hot, mostly due to the high strength, it’s peppery with spices with a medium mouth coating of oils. There’s peat, soot, smoke, leather and tar, but also a lighter edge to it with lighter more summery fruits, and slightly meaty bacon bbq notes too. The finish is long with malt making an appearance alongside the peat and other more soft notes of vanilla and milk chocolate. A lovely warming hug on your chest which would keep you from the cold elements in winter time. Given the higher ABV and the hot nature of it, you can be forgiven for adding a small drop of water which doesn’t hurt it one bit, and actually brings out one or two more aromas and helps open it up a little. 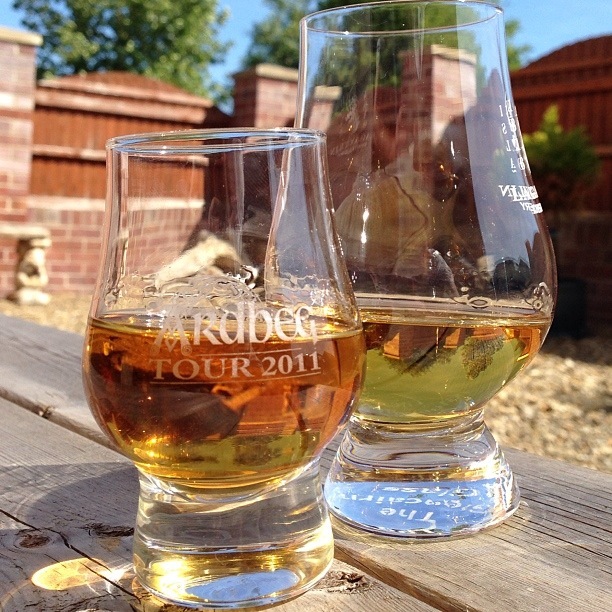 Ardbog has a much richer, darker colour than Day and is slightly lighter in ABV. However it’s much more subtle and sweet than Day, which for me makes it all the better as Day is fairly up and in-your-face, whereas Bog is just that bit more laid back and relaxed. After comparing the Bog next to Day, I’d pick Bog every time, it’s much more my cup of tea, and I wish I’d got two bottles of the stuff, but it’s not the cheapest 10yo around. I can’t say what the PPMs of the two are, but I’d wager that the Bog is just slightly less. 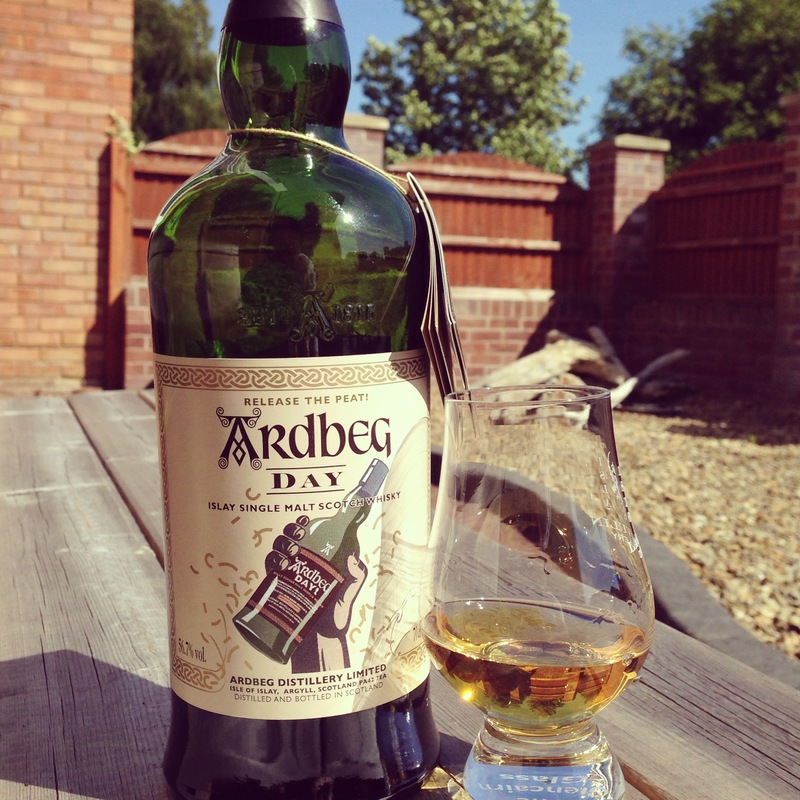 Ardbeg Day bottle purchased / owned. 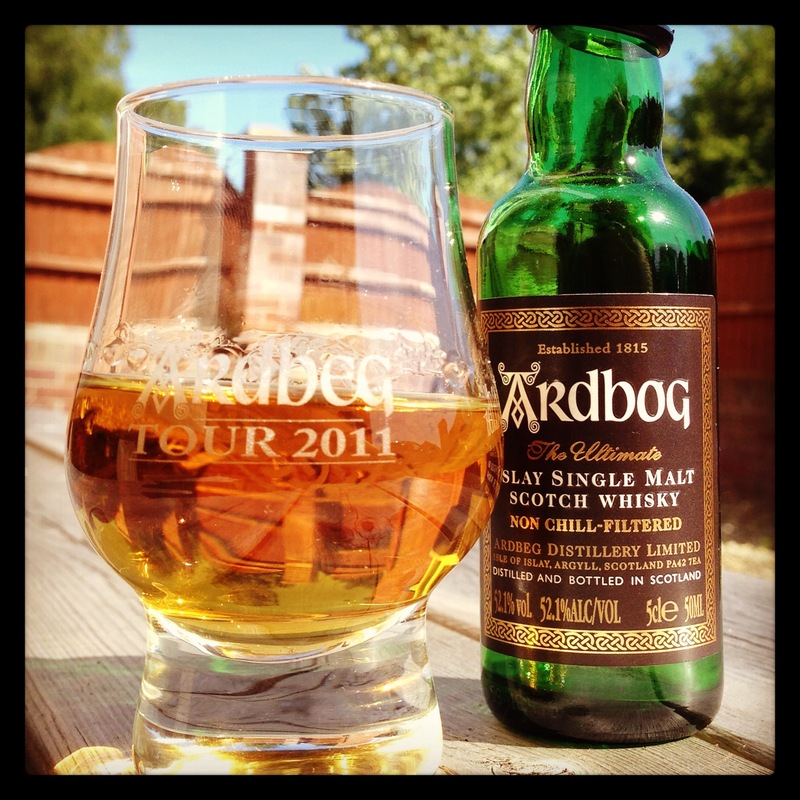 This entry was posted in Review, Whisky and tagged Ardbeg, Ardbog. Bookmark the permalink.